For me, it all started with my friend Noemi. Noemi is my cultural fusion muse. Of European-American descent, Noemi equally loves Bollywood and the New York Islanders. When I announced that I was engaged a few years ago, Noemi decided she would wear a sari to the wedding. She wore a gorgeous Islanders blue-and-orange piece, and danced the night away at the reception. When a non-South Asian wears a sari to a wedding reception, she immediately transforms from a spectator to a full-fledged participant: uncles throwing her onto the dance floor, aunties trying to set her up with a “good Indian doctor”, and friends asking her advice in the kitchen. Many of our friends still rave about Noemi’s sari at our wedding years later. Just at that moment, the light bulb switched on. 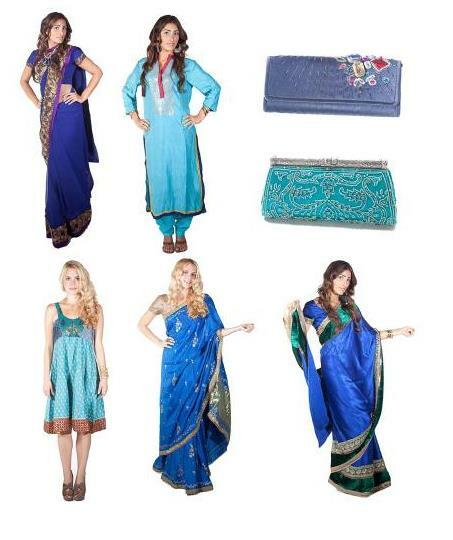 Soon thereafter, we created Sari Closet, an online sari rental service. Since we launched the service at the end of May, half of our customers have been non-South Asians. This was not a surprise to us. The demand for blended cultural experiences has grown exponentially in the past 20 years. A recent Pew Research Center study showed that 14.6% of all new marriages are of interracial couples – a rate that has doubled since 1980. We have seen an uptick in the number of Indian-American customers as well. Unlike our parents’ generation, most of us in the younger generation do not have a collection of saris, nor an opportunity to wear them regularly. When we have to go to a South-Asian wedding, we want off- the-runway look and trendy styles in our sari, but are faced with some challenges – we do not have a collection ourselves, and cannot find trendy styles in our mom’s closet. We have realized that buying a new sari in the US is too expensive, and we do not have the time or funds to dash off to India for a shopping spree. Moreover, in today’s Facebook and flickr world where photos from everyday life are shared in an instant, even if we buy a sari, it is almost impossible to wear them to multiple events, making it a very short-term investment. Sari Closet helps you address these minor complications, by expanding your wardrobes at affordable prices. We provide a wide range of saris, blouses, jewelry and even bindis. We have learned that wearing a sari can be daunting to most, at least initially. In this situation, our sari experts – “saristas” – step in and do everything to help the customer, from picking the right sari, to teaching how to drape the sari through a video on our YouTube channel. We at Sari Closet are appreciative of partners like tanaRi events, whose “Fusion Fantasy” packages share similar values to Sari Closet’s ethos of sharing and spreading awareness of our culture. 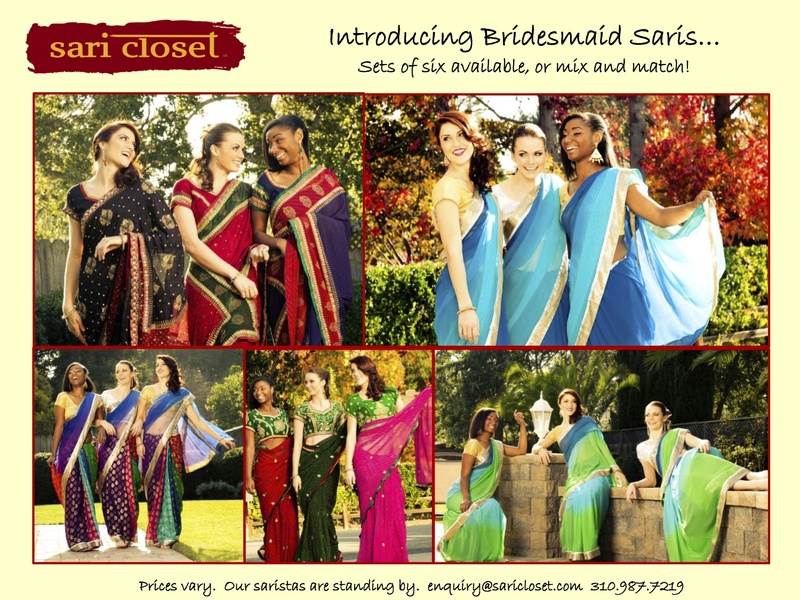 For a bride who wants a South-Asian or fusion wedding, Sari Closet will be there to provide the exquisite saris from our collection or custom selected just for the bride. To help you bring all the pieces together seamlessly, it is great to have planners like tanaRi events, who ‘get it’ and help infuse the wedding with the right amount of culture while staying true to the couples’ personalities. As cultures continue to fuse, I bet you will see more non-South Asians wearing saris. I will also bet that Noemi will not be the only one wearing a sari matching her hockey team’s colors! 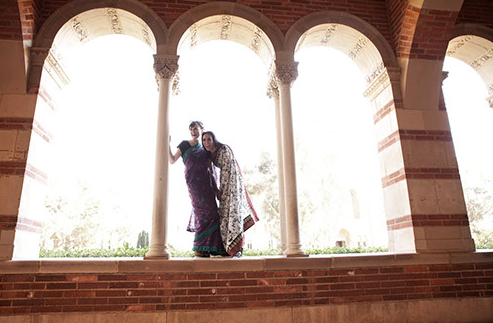 Sreesha Vaman is co-founder of Sari Closet, an online nationwide sari rental service. Visit the website www.saricloset.com or follow on Twitter @SariCloset for latest updates.